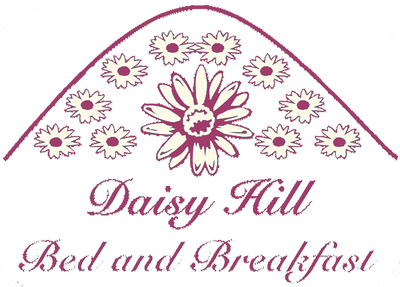 Fun Facts about Daisy Hill Bed and Breakfast! The different rooms of the home include a living room with working fireplace; a dining room with family style seating for breakfast with beverages and snacks available at all times. The Library, a quiet place, offers space to catch up on your reading, work on your computer or just sit down to write an award-winning novel. The one hundred year old desk always has pen and paper available for those creative moments. 115 year old piano which guest love to play!